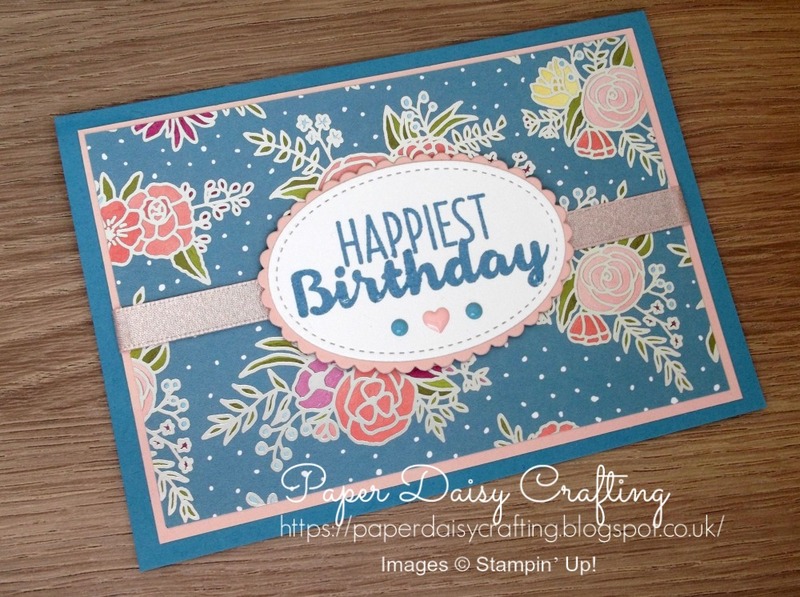 This is a very simple and easy card to make. 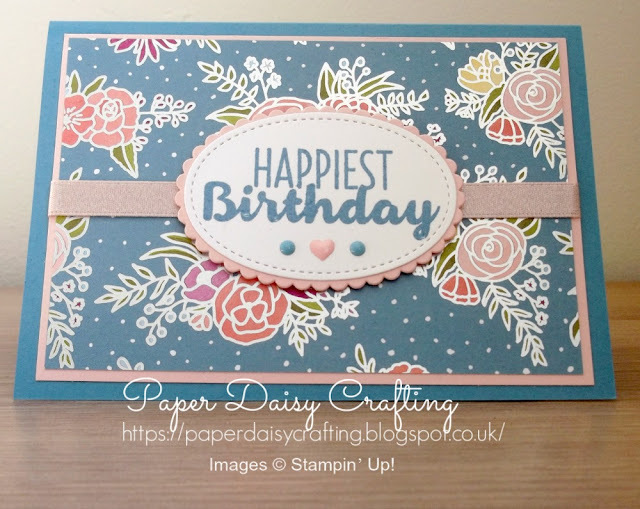 A Marina Mist card blank, a panel of Powder Pink and another panel of Sweet Soiree DSP, with a strip of Powder Pink Shimmer ribbon. Then a scalloped oval cut from Powder Pink, and a stitched oval cut from Whisper Whie. The sentiment "Happiest Birthday", which is from the "Cool Trreats" stamp set (also retiring - booo!) has been stamped in Marina Mist. A couple of coordinating enamel shapes and you're done.